People bathing in the sun, enjoying the picnic lunches they'd packed in, had to grab their belongings as quickly as they could and make a dash for higher ground. Fortunately the patch of sand on which I stood was slightly elevated, like a little island - so my feet, and sneakers, managed to stay dry. 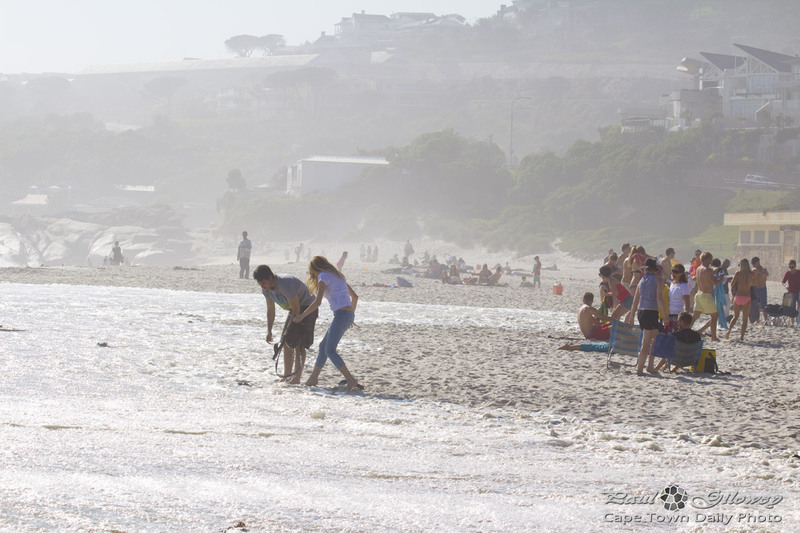 Posted in General and tagged beach, camps bay on Friday, 9 August, 2013 by Paul.